We arrived in Denver last Wednesday in the early evening after a nice ‘shorter’ flight from Portland. I tend to eat terrible (which can mean not at all) on travel days. For some reason I just don’t feel it. After not having breakfast (bad girl), we arrived at the Portland airport and I grabbed a veggie wrap from a cafe. Sorry no pic. It was mostly delicious although I wasn’t a big fan of the roasted eggplant. Eggplant and I are very hit and miss and I haven’t figured out the winning combo that makes it a hit. I’ll have to do that. Lunch settled nicely and because I don’t like to go to the bathroom on the plane I moved into my refuse to drink water mode. *I recommend you don’t follow my example*. After getting our luggage and arriving back at Jeremy’s parent’s house – all 6 of us – went out to eat together. It was wonderful! We are in town on a ‘working’ vacation to celebrate Jeremy’s Dad graduating with his master’s in Conflict Resolution from the Denver University. Dinner was at Park Burger, which is pretty famous for their amazing burgers. The space has expanded since the last time we visited and they are having no trouble keeping seats filled and bellies happy. 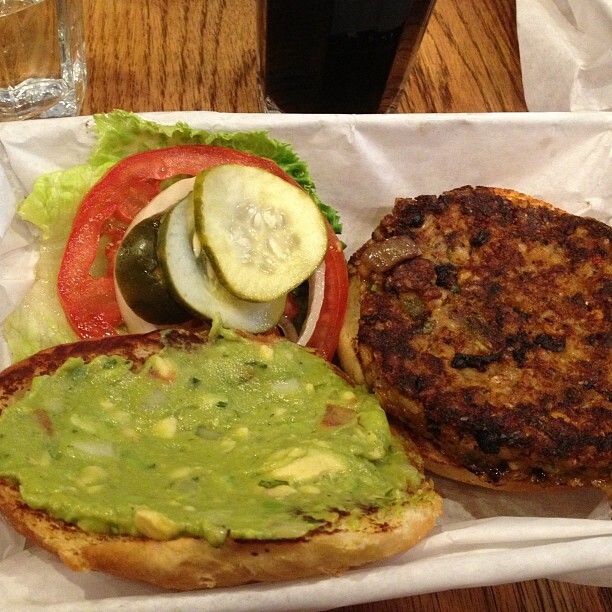 I set my eyes on their lone veggie burger, no surprise. I’ve never been a fan of beef, so even at a fantastic burger place, you’ll see me scanning the menu ranks searching out the salads and veg options. I’m pretty sure I had this burger before but forgot how perfect it tasted. I ordered it with the addition of guacamole because that’s what brilliance is all about. I later wished I had remembered ordering it sans bread and instead placed between 2 large lettuce leafs, like I had on my first trip. Side note, I think pickles should be mandatory on every sandwich. Arriving at Jeremy’s Grandma’s later in the evening where we have been resting our heads this last week, I made sure to fill up on A TON of water. I had to make up for my bad girl ways while traveling. The last thing you want to do while visiting the mile high city of Denver is to wake up or go to bed with a slow pounding headache. 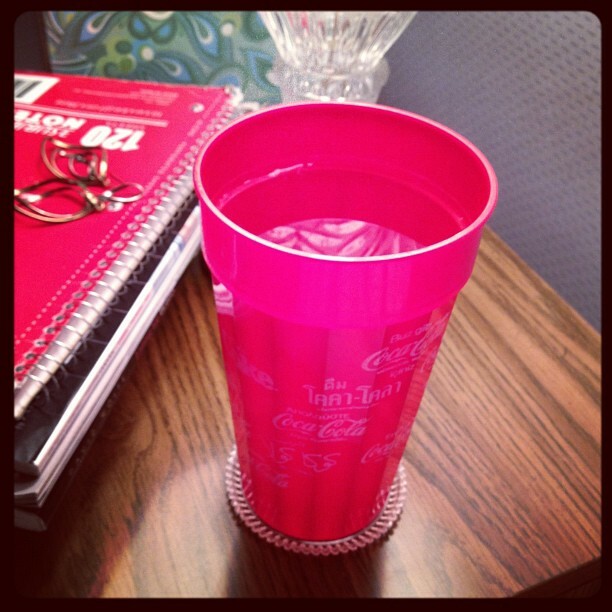 Water is key. Grandma had asked us what we ate for breakfast the night we got in, the next morning I woke up to this gorgeous spread! Fruit heaven. 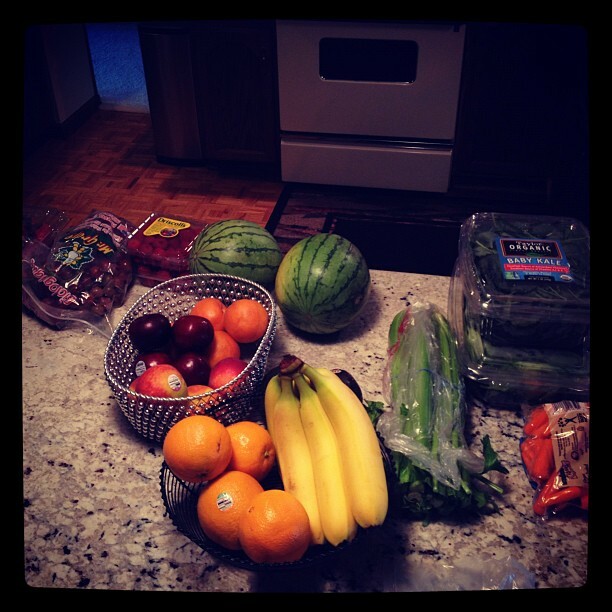 I’ve enjoyed so many bowls of cut up fruit, meals of watermelon, and green smoothies. The smoothie above has strawberries, banana, baby kale, oj, and water. 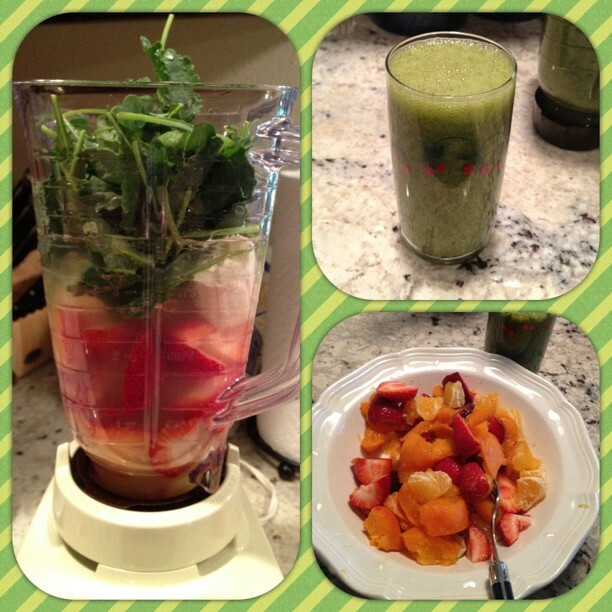 This delicious smoothie was made in a 20+ year old Oster blender and did an amazing job! 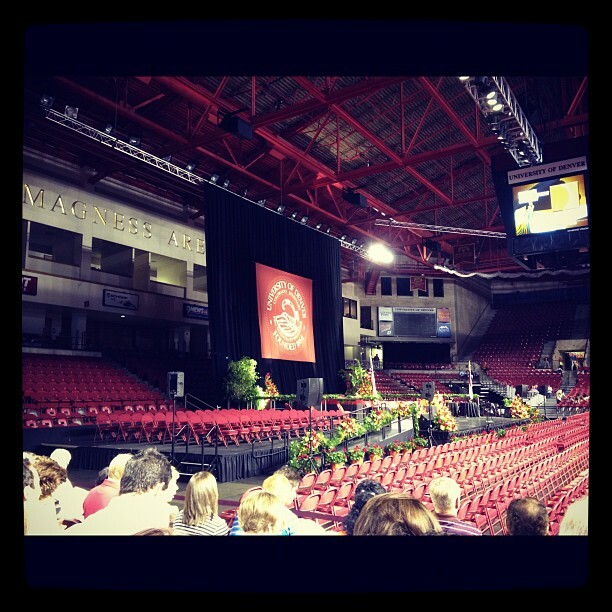 Graduation for the 700+ Master’s and Graduate students took place on Friday evening in the Magness hockey arena at University of Denver. I realized this is only the 2nd graduation I’ve been to as an observer. The other being my brother’s high school graduation 6 years ago. Freddy you’re getting old like me! Jeremy and I left graduation after seeing a few more people we knew collect their diplomas. We rushed back to his parent’s house to help set up tables, chairs, and food. 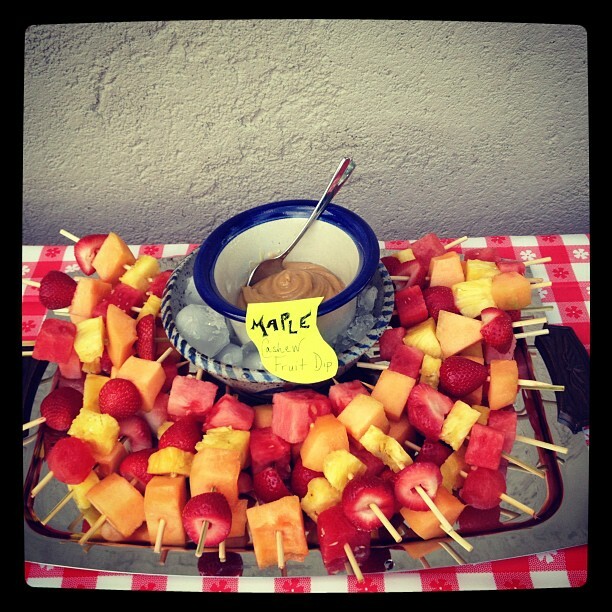 I made a fun fruit kabob tray with an almost raw maple cashew dip (the cashews were roasted and lightly salted). I enjoyed making a dish that many people could try and was happy to find that it was a hit! 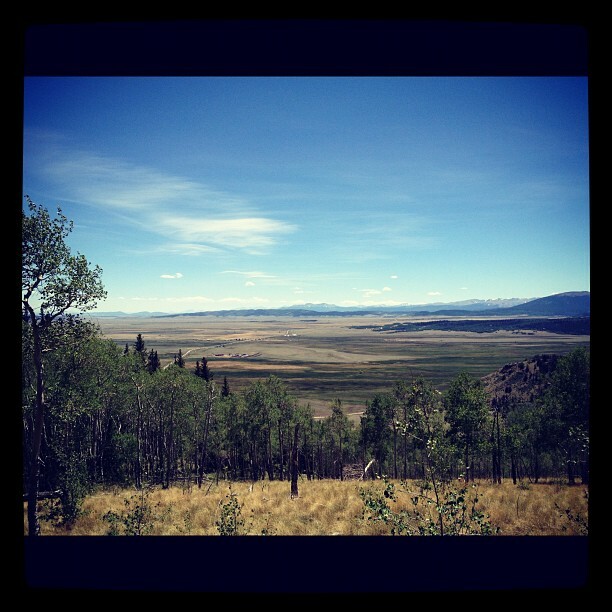 On Saturday morning we headed into the mountains for lunch and a family hike along the Colorado Trail. We stopped for lunch at DW’s 285 Diner. This was not a veg*n friendly restaurant but they do have salads and it was easy to order them without the meat and cheese. I ordered a BBQ chicken salad, minus the chicken but I did eat the texas toast it came with. o_O I must mention the entire menu was in comic sans. Does that font make anyone else’s eyes bleed? Our hike was amazing! We don’t usually start hikes this late in the day but we were lucky to have a ‘cooler’ day with just the right amount of breeze. Our hike was almost 4 miles and our turn around point was dependent on our water supply.